Many homeowners and renters are faced with a challenging garage door every now and then. If you’re an individual who has been dealing with a garage door with a mind of its own, you may find our garage door repair services useful. Our professionals have been giving readers some troubleshooting to try to get garage doors in working order; however, some garage doors require more than just troubleshooting. So what if your garage door is closing, then opening again? 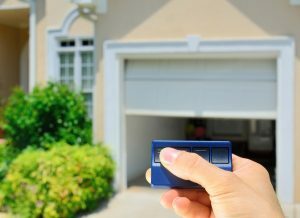 What if your garage door shuts completely then opens again? It can be frustrating to watch your garage door close, think you are all set to drive away, and then bam – your garage door opens back up. If this is an issue that you deal with regularly, you’re not alone! 90 percent of the time, a garage door’s open and close limit settings are the culprit. Basically this tells the garage door the range of how far the door should be moving down before it is fully closed. So if your garage door settings are much too high, your garage door is thinking that the door is hitting the ground before it actually does. To reset your garage door’s limit settings, take a look at the owner’s manual or give us a call! We’re the leading garage door repair team that serves all of Torrance. Learn more about our garage door repair abilities online today and contact us with your issue.